The retail stores and shopping malls are decked with holiday decor signaling that it’s time to start thinking about gifts for everyone on your list. Fortunately, if there are cooks and food-lovers on your list, there are lots of options in price points that range from a few dollars to a few thousand dollars and most of these gifts can be obtained from small, local merchants allowing you to “shop local.” This Francophile Holiday Gift list for foodies doesn’t pretend to be exhaustive but should help you check off a number of deserving friends and family members. There is nothing like curling up on the couch and watching movies on a cold winter weekend. For a novel foodie holiday gift, why not wrap up 5 food-themed dvd’s for a weekend of delicious movies. 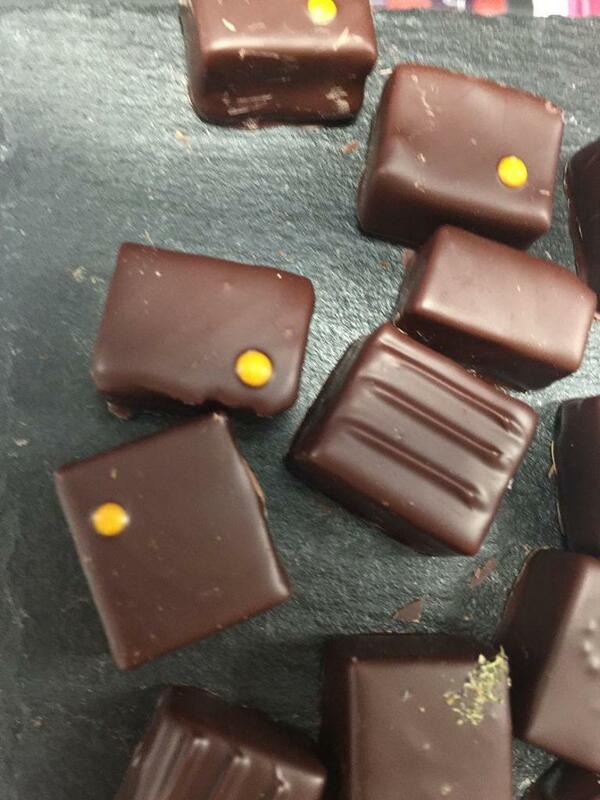 Packaging the movies with a box of small batch chocolates from artisan chocolatier Aline Gehant in Avignon will make the weekend even sweeter! Here are some of my favorite food related films: “Chef” (2014), “Like Water for Chocolate” (1993), “Ratatouille” (2007), “Big Night” (1996) and “Chocolat” (2000). I don’t know anyone who doesn’t love cheese. Personally, I love runny cheese, stinky cheese, hard cheese, blue cheese, French cheese, Italian cheese, American cheese (not the yellow processed stuff), all cheese! A collection of Provencal cheese, an attractive cheese tool set and a beautiful wooden cheese board (if you are feeling particularly generous) combine to form the ideal gift. The cheese can be enjoyed during the holidays and the accessories will be a reminder of your thoughtfulness all year long. 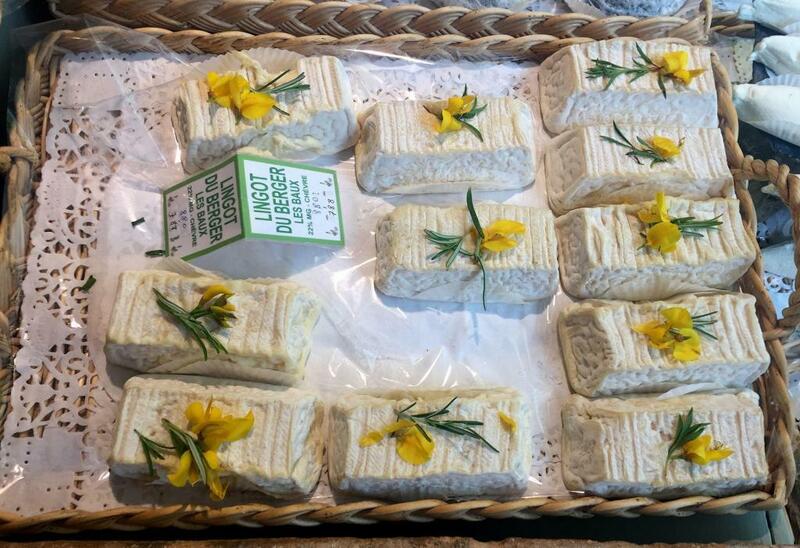 A few suggestions: Banon, Provence’s most famous cheese; a fresh, unsalted cheese Brousse du Rove, Saint Marcellin, a raw milk cheese; Picodon, Tome de Provence and any other fresh or aged goat cheese. 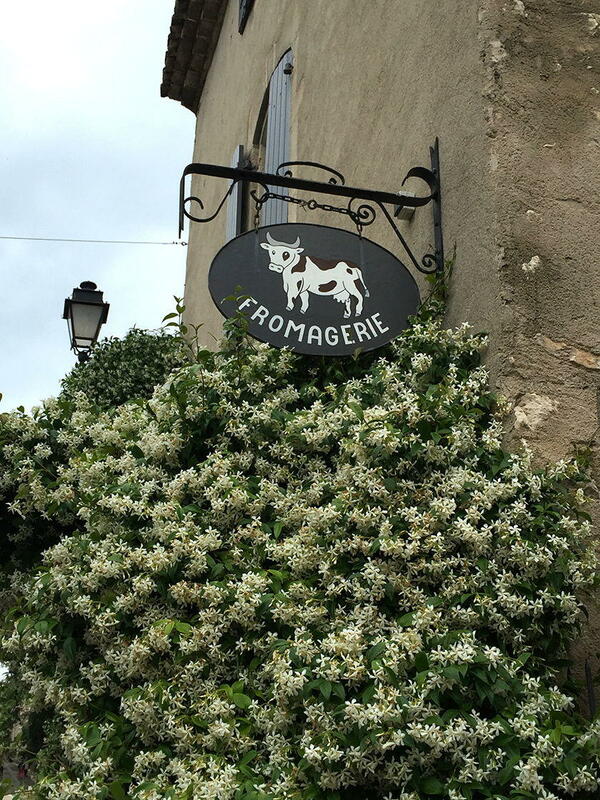 Check out La Cave aux Fromage in St. Remy and Chez Emily Fromager Affineur in Eygalieres for good selections of local cheese. Pre-made gift baskets are easy to find at this time of year. I prefer to assemble my own, often based on a theme. Provence is fortunate to have local bee-keepers and apiaries. Le Mas des Abbeilles in Bonnieux offers a wide variety of choices including Lavender Honey, Forest Honey, Acacia Honey, LemonTree Honey, Chestnut Honey and Rosemary Honey. Select a few- or all- add a wood honey scoop and you have the perfect “sweet treat. I used to tell my friends and family, “No kitchen appliances or utensils as gifts!” I then recognized the folly of my ways. Why not ask for those kitchen indulgences you know you want but on which you never want to splurge? For that matter, why not include everyday kitchen utensils on your wish list? Baking trays turn brown, spatulas develop ragged edges, wooden spoons eventually break. If it’s my wallet, I always think “Oh, they’re fine for now.” If it is your wallet, I say “Bring it on.” Here are some kitchen tools and appliances every foodie needs or wants. 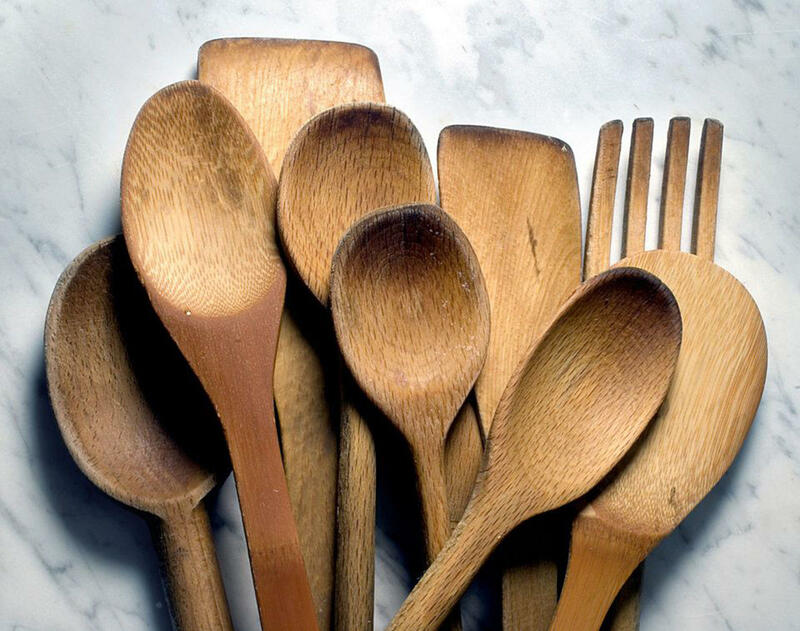 Wooden Spoons: Your everyday variety is available at Provencal markets, kitchen supply stores, houseware departments and online. Mandoline: Once you master the use of a kitchen mandoline, you’ll wonder how you ever managed without one. A mandoline allows you to make very precise, very thin slices or julienne cuts. The mandoline is incredibly sharp allowing for the creation of professional looking slices of fruit, vegetables, meats, etc. Mandolines vary greatly in price so consider how often the gift will be used. Baking Trays: One can never have too many. Available everywhere. Baking trays, in my humble opinion, are not “splurge-worthy” unless you are a very serious baker, in which case, go for the heavy-duty, full-gauge aluminum or stainless versions available from the kitchen supply sources. For the casual/everyday baker, go for the basics in several sizes. They will get banged up and if you cooking sprays, they will get brown and unattractive. Add An Edible: Elevate your gift and make it a bit more elegant with the addition of something edible and delicious. A tin of pate, some dried wild mushrooms or a jar of fine jam. 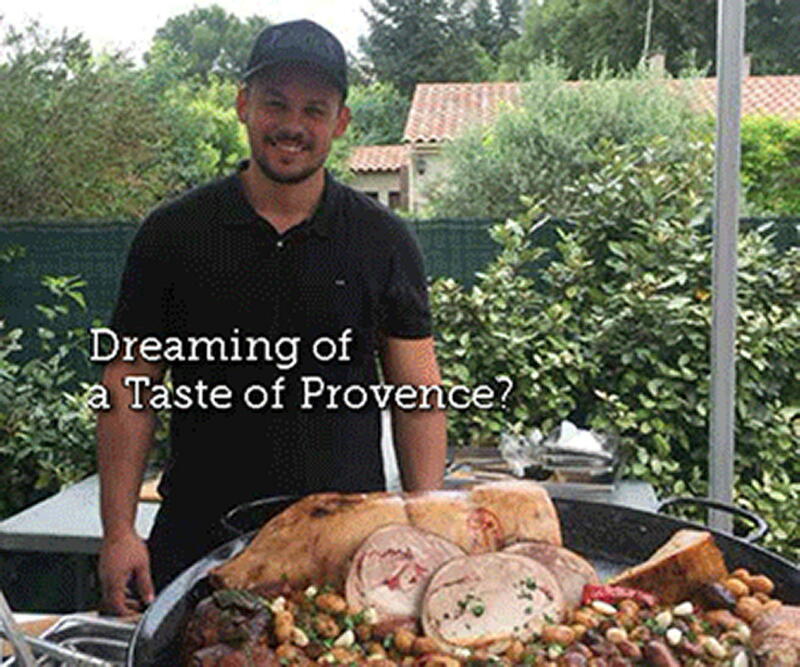 If you haven’t yet come up with that grand present or you want to truly wow your favorite foodie, there is nothing better than a trip to Provence, France. 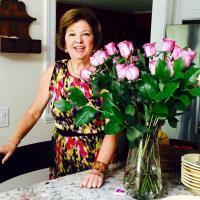 Goût et Voyage offers 8 day/7 night, small-group (no more than 6 guests), escorted travel to Provence. The trips are designed for those who love fine food, fine wine, culture and history. Unlike so many “packaged” tours, Goût et Voyage offers an authentic, un-touristy taste of Provence filled with magical one-of-a-kind experiences. The first time I prepared a meal in my mother-in-law’s kitchen, I understood that many home cooks don’t use or think about using herbs and spices. I was planning to prepare the coating for a roasted leg of lamb. I opened the pantry hoping to find the necessary ingredients – olive oil, fresh garlic, rosemary, dijon mustard and soy sauce. All I could find was a tin of dried rosemary that had expired 6 years earlier! A quick trip to the market saved the day but the realization that seasoning doesn’t come naturally stayed with me. 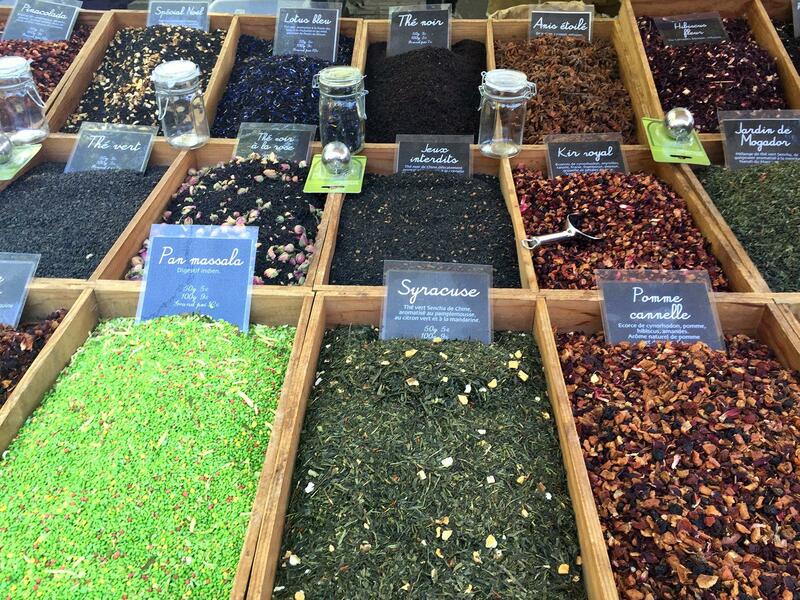 It is easy to find fresh herbs at the market or supermarket all year round. Sage, rosemary, thyme, marjoram, tarragon and oregano are readily available in the produce section and obviate the need for drying the herbs at home. Dried and ground herbs and spices are also readily available but need to be tossed when they lose their flavor and scent. 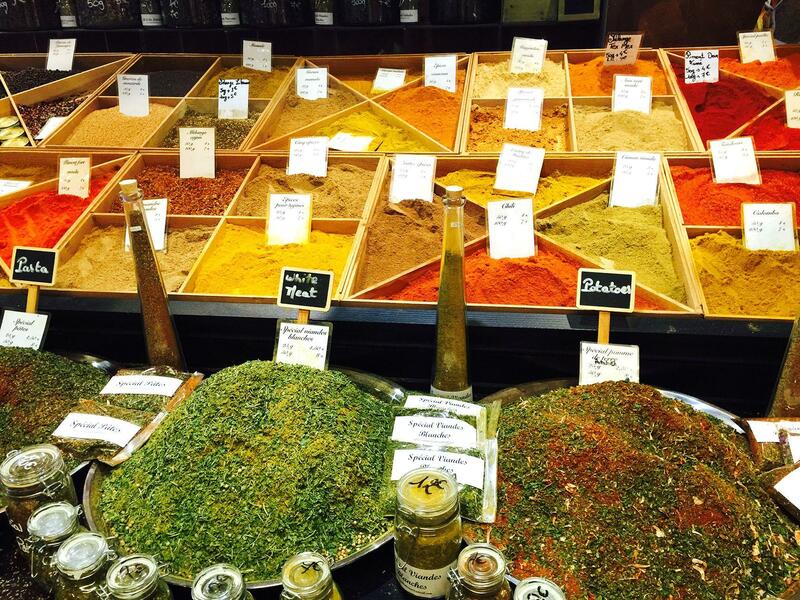 It is a good practice to go through the spice rack in January and replace those herbs that have lost their potency. Good quality dried and ground spices are not cheap and therefore make a welcome gift or stocking stuffer (depending upon your generosity) for novice and experienced cooks. Shop in the warmth of the covered Halles Avignon at Le Moulin a Epices. 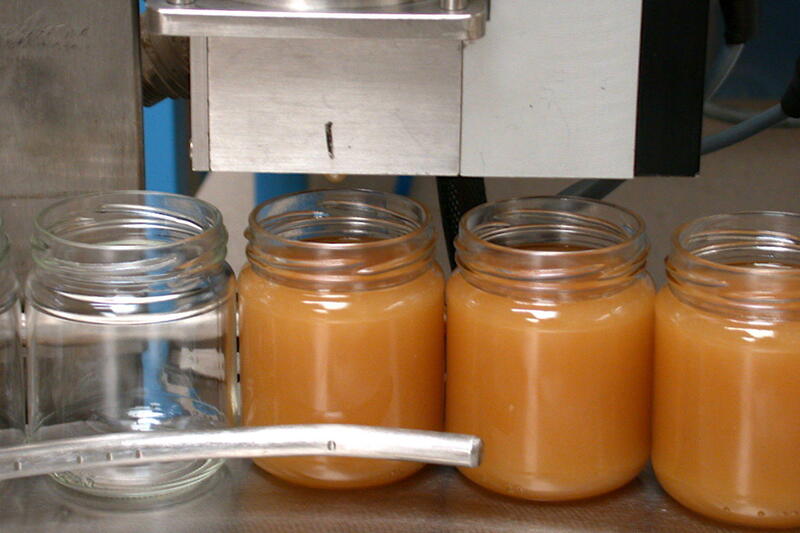 No Provencal recipe is complete without the addition of the fine local olive oil. 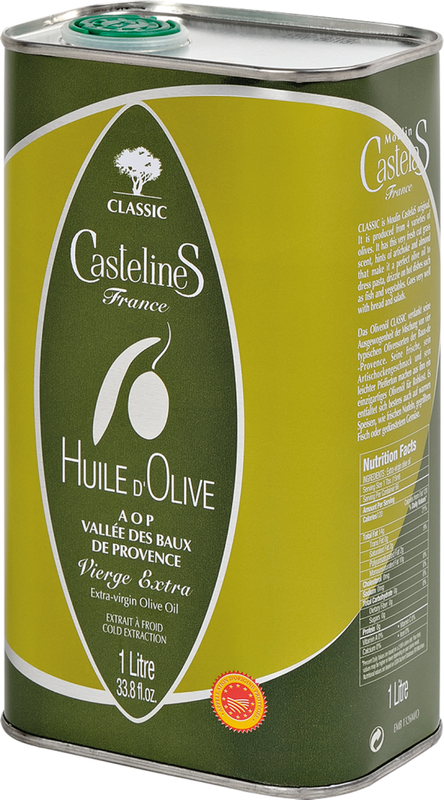 Le Moulin Castelas in Les Baux de Provence sells many different olive oils ranging from the Classic AOP Vallee les Baux de Provence to the spicy Noir d’Olive (ex Fruite Noir) to the Bio extra virgin olive oil. If you visit their shop, you’ll be tempted to add some of the aromatic oils, grocery items and/or olive-oil based creams and balms to your gift package.